Thirteen-year-old Cassandra “Cass” Backus is a young girl experiencing teenage awkwardness and bullying at school. 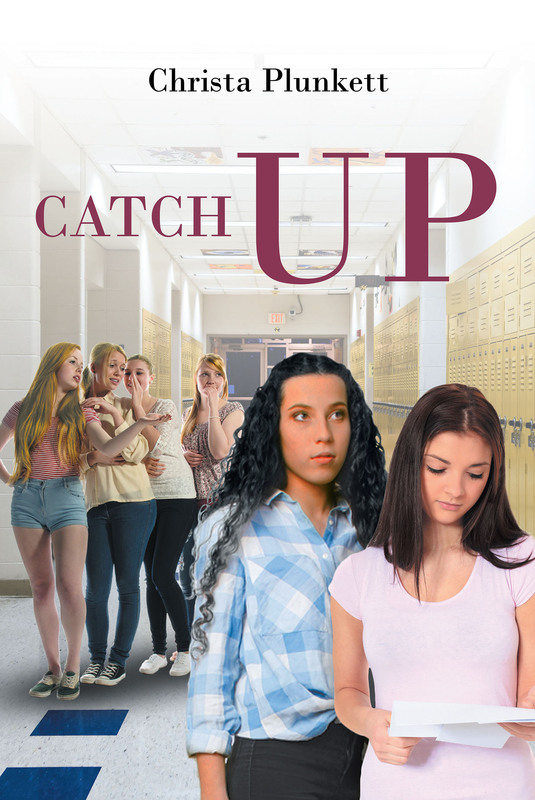 She loathes gym class, is fed up with her slacker science partner, and deals with a group of mean girls who terrorize her to bolster their own popularity. The only thing she has to look forward to is catching up with handsome Brad Bentley, the neighbor boy she grew up with before his family moved six years ago. Cass and Brad have been faithfully keeping in contact via e-mail since he moved, and now he is returning to visit. Cass and Brad plan to meet for lunch on the Saturday he’s in town. With Valentine’s Day around the corner and the big eighth grade dance coming up in spring, Cass has high hopes. Brad may be the answer to turning around her hard luck and popularity issues. However, a rumor spreading about her most popular tormentor circles back to Cass as the perpetrator—and the rumor victim is not the least bit happy! Now, Cass has to worry about being tracked down by an entourage of haters while on her lunch date. Her eccentric friend promises to come to her rescue with an original plan. But the question remains: Will Cass and Brad ever manage to catch up and take their friendship to the next level?